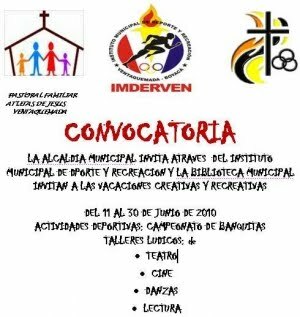 EL IMDERVEN HACE LA INVITACION AL TORNEO PROFESIONAL “COPA POSTOBON COLOMBIA MIL CIUDADES DE MICROFUTBOL 2010, FASE MUNICIPAL VENTAQUEMADA . OTORGARA CUPO PARA LA FASE DEPARTAMENTAL A REALIZARCE EN EL MES DE AGOSTO. • LOS FINES DE SEMANA.